But It became like this https://i.imgur.com/jshtVSm.png? Well, yes… because in the graphic you show there you changed the width to 500px and also changed the height… Don’t change the height when resizing. Updated to not remove vnbuttons image when using the ‘exclude unused images’ when deploying. Oh yes, you’re right. The only thing is it doesn’t show a timer gauge that tells the user how much time left. Thanks for the awesome plugins!! Hi Galv, I think i’ve been able to do it, and it appears to be working fine (barring relative placement and width of the gauge which I can’t seem to get working). Can I have your email id so I can send you the updated script for you to have a look (or send a mail to me)? 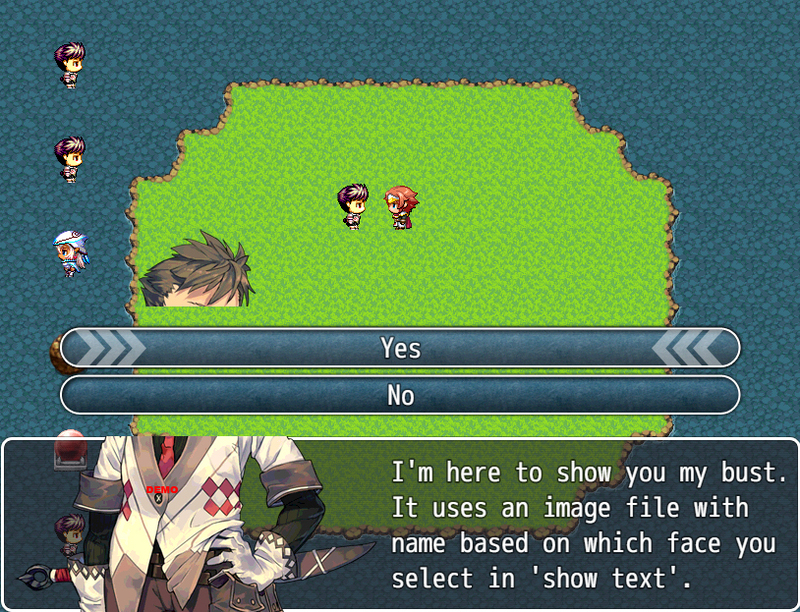 Sorry to be a bother, but altho I’m a dev, this is my first time with the RPGMaker MV JS plugin framework, so I’m sure I’m not following best practices, and I need a little help with only that one point above! Is there a way to put those choises behind Busts using this puling combined with “MV Message Busts”? Ahh, I see. I didn’t think of that – it’s the way MV draws windows and how I’ve coded it. I’ll add this to my to-do list but not sure when I will get to it. Any luck with fixing this issue? Can some contribution change this priority? Okay, I’ve looked into the issue and unfortunately in order to fix it I think I have to recode a lot of stuff (so as not to break other plugins it’s been written to work with). So the issue won’t be fixed any time soon. Thank you for taking your time to look into it. I’m using Yanfly Message and when I put bold/italics in the choice boxes with \fb/\fi, it’s screwing with the formatting, sadly. Could you please provide a compatibility fix for this, if you have the time? Thanks for the reply, not sure why i’m getting that error either..
Did you do everything in the list? That will help you error trap why. Is there any way to change position of choice of your plugin? 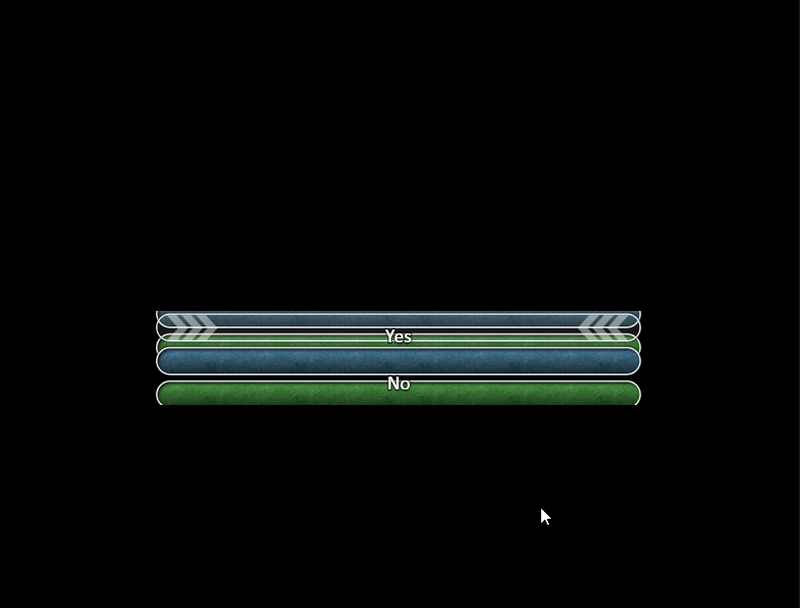 RMMV let us move it to left and right but can’t move it up and down. It must be nice if I can put it to a conner or somethig like that. Umm… I’m not sure what’s going on, but when I click the download link for the plugin it immediately crashes my browser on both Mozilla and Chrome. Has anyone else had this problem before? Make sure you have the latest version and this plugin is under Yanfly’s plugins. The issue you describe with the bars not showing up did happen in an older version of the plugin so that might be the cause. How do I add more options? 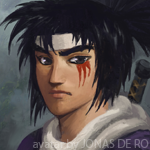 For example, in the image has 4 colors, blue, green, yellow and red, how could you add the image and put new colors? You need to modify the image and extend it down more to add new button images. Thanks for your plugin!I don’t know whether you want to make the plugin this style,but when I change the font size of message style,the font size of default message window also changes.I helped to fix the issue. Thank you for your plugin again! Is there a way to position the choices always at a certain position while using your message styles plugin with this one? Unfortunately not at the moment, it will have to be implemented. I am drowning in tasks at the moment, though, so I cannot do this soon, sorry. 1.5.0 Update, An output error occurs. I’m away at the moment for a week or so, I am going to check over my plugins with latest version of MV when I get back. This work is in use. But it does not match ‘MOG-Char Particles’. Sorry, I do not give out my email address. I am contactable via my facebook page or by PM at the official english forums. The choice buttons sometimes disappear. Usually at the first event of a scene the buttons do not appear. You only see scheduled options of choice. Make sure you have the latest version of the plugin and have updated your project files with the latest MV files. It sounds like you haven’t upgraded your project files to 1.5 files. Just updating MV doesn’t update your project. How do you update the project? Comuque I started the project with version 1.5. My project was born two weeks ago. The issue you are describing is a caching issue. The plugin pre-caches the visual novel button graphic in order for it to draw correctly every time. If it’s not pre-cached then the image won’t draw the buttons the first time but will cache it then so it will draw next time. 1. You don’t have latest version of the plugin and your project is not the latest MV files. (My plugins are updated to work correctly only with latest version of MV files). 2. Another plugin is conflicting and causing the caching not to work. If your project does have the latest files (which it should if you created a NEW project when you had MV 1.5) then do a test and disable other plugins in your project. Hi, i have the same issue. I use 1.5.1 and the newest Plugin Version. And i have tried Point 2. But it doesnt help. And copy the first few lines that tell you the version number and paste here for me. So I am not sure why it happens for you and not for me. If you start a new project with just the plugin does the issue still occur for you? Can you replicate the issue in the plugin demo if you update the plugin demo files to version 1.5.1? The only way I can help is if I can see your project files. Is it possible to change the cursor accordingly for different occasion like in VX ACE version? Looks amazing, but is there a way to move the choice boxes up to the top of the screen? I’m using Yanfly’s Message Core where the name of the person you’re talking to appears above the dialogue box. The choice buttons overlap with that and show up behind the name. If I could just shift the choice boxes up a bit… it would work perfectly. Unfortunately not in the plugin, but there is a plugin setting “Message Gap” which can push the choices above the name box. Hi Galv, do you have any plan to make this compatible with the plugin “Mouse System Ex”? Right now “highlight on hover” doesn’t work when I activate your plugin (single click mouse doesnt work have to click twice) Thanks for the pluging none the less! I am so stupid! I just read your “Errors Using Plugins”. I had your plugin above Mouse System EX, that’s why it didn’t work. Now everything works great and I love your work thank you so much. For anyone else having this problem just move Galv plugin below the other plugin and it works! I can’t find the PNG. Do you have it? It’s in the demo download.